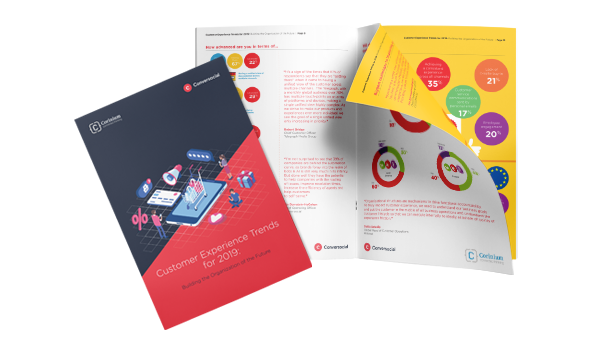 Customer connectivity is responsible for the dramatic change in the way customers communicate, how they access information, and their expectations. Essentially, connectivity is responsible for the growing strength of the customer’s voice. The world’s most successful companies in recent years have been those that have placed customer-centricity at the heart of everything they do, from product design, to sales and support. In the lead up to the Chief Customer Officers & Influencers Forum we interviewed senior customer experience professionals across North America and Europe. The study was designed to give an overview of the challenges, opportunities and technology requirements facing those responsible for building a customer centric organization. 39% of participants are behind the curve in terms of 'Successfully rolling out AI chat bots and messengers'. The biggest challenge to improving customer experience is 'Achieving a single view of the customer'. A third of respondents feel their data is well integrated across mobile and social.